The Hamilton North Public Library serves the residents of Jackson Township in northern Hamilton County, Indiana, with two branches in Cicero and Atlanta. The Atlanta Branch is an original Carnegie Library and was founded in 1916. As a vital community resource, HNPL wants to be a primary source of information, fun events, and opportunities for connection. Their redesigned website is a now a hub for advancing this mission. Third party integrations are one of the most challenging aspects of any library website. HNPL was no exception. 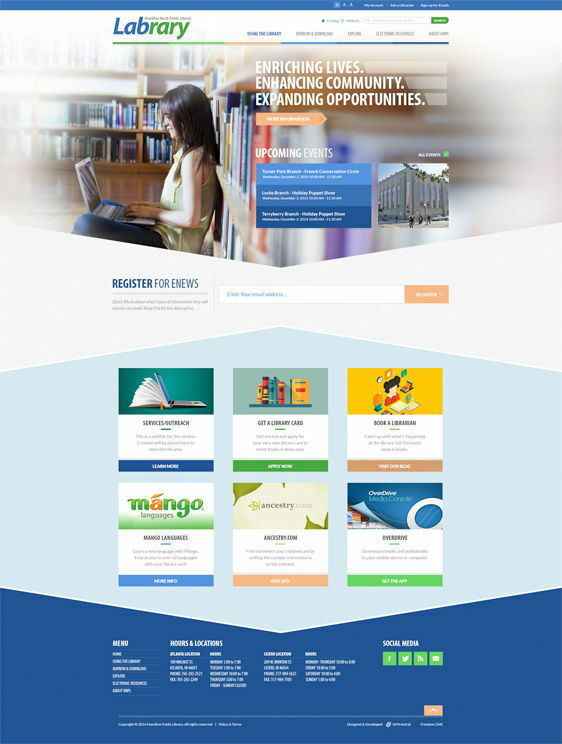 Simply put, when HNPL came to us for help, their website was outdated and hard to manage. 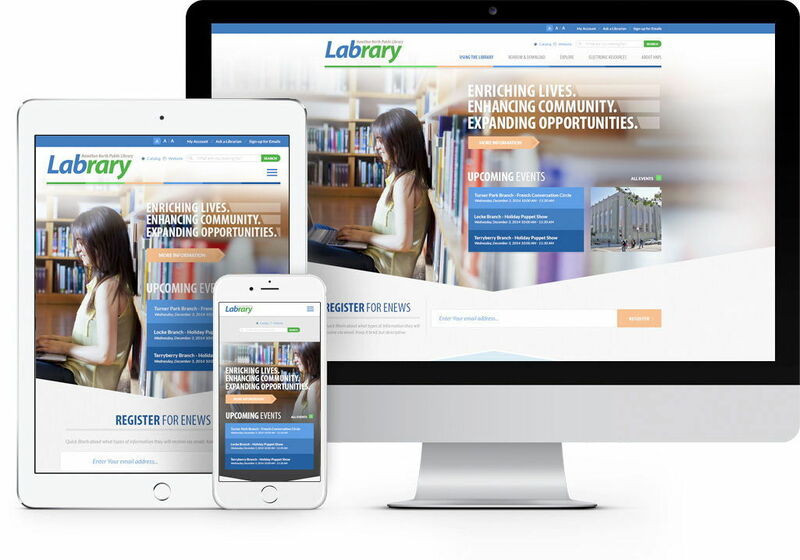 The Library's services and resources had outgrown the functionality of the website. They came to us for a fresh vision and design that would be simple for their users to search and find what they needed, and easier for their staff to update. 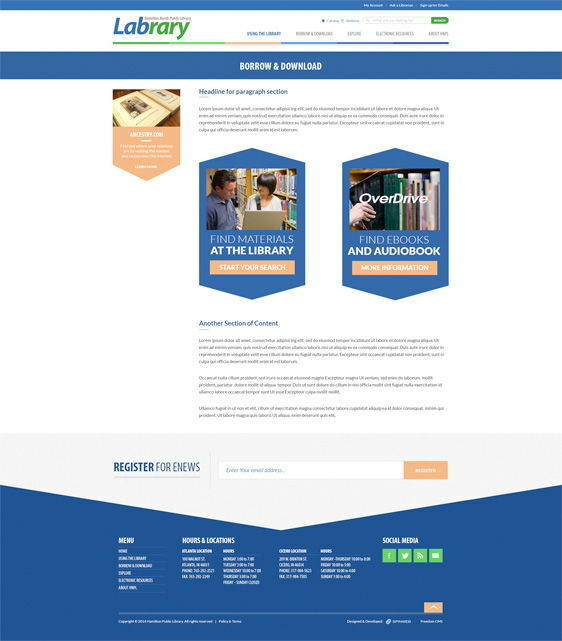 The homepage design puts the Catalogue Search, Events, and Resources front and center, as these are the priorities for users when they visit the site. We integrated third-party apps in a seamless way that would still allow flexibility from a management perspective. One of the primary goals of the library is to bring patrons into their physical locations. One way to do this is through special events. 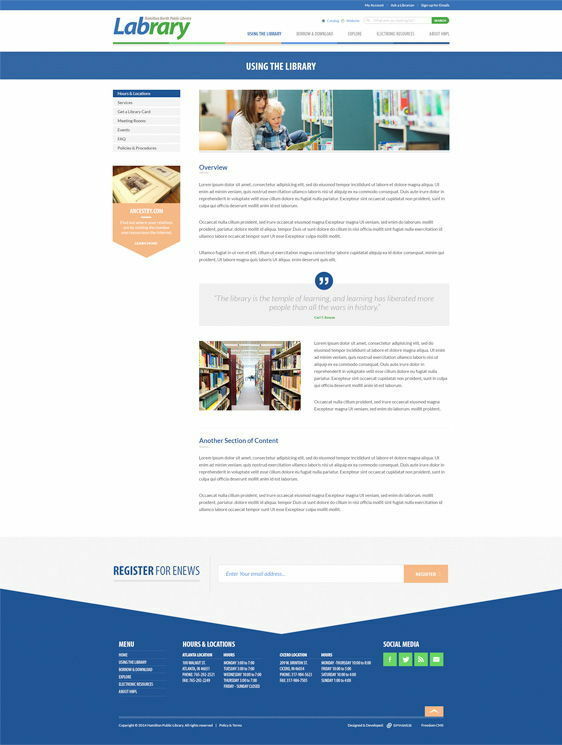 To this end, event integration on the website was critical functionality we considered in planning and building this website. Events are pulled in from third-party event calendar. The catalogue is much the same, with a third party search database. We integrated these databases into HNPL's new website in a way that is seamless and "behind the scenes" from a user perspective. Email sign up integrates with their email marketing system. It was important for each area of the library to have a space of their own. Children, Teens, Adults, and Seniors have their own subsections of the website that they can update with the latest news and happenings in their areas.